The White House grabbed the spotlight this past summer when it announced a new fuel efficiency standard that will require passenger cars and light trucks to achieve a combined average of 54.5 miles per gallon by 2025. The Department of Transportation and the Environmental Protection Agency unveiled a proposed rule for the new standard on Wednesday giving more details about what the administration expects the fuel economy will be for future cars (here is a helpful fact sheet). 1). What model years does the new standard cover? It will affect car models 2017-2025 and calls for an incremental increase of the fuel economy during that time. 2). What is the fuel efficiency standard now? : 27 mpg. It’s set to increase to 34.1 mpg by 2016 for the combined average (passenger cars and trucks). 3). Why do we need the new standard? The proposed standard takes into consideration the greenhouse gas emissions produced by cars on the road and aims to curb that. Plus, encouraging more fuel efficient cars also means more savings for consumers, who have shown a preference for more economical cars when fuel prices go up and, well, the economy tanks. More fuel efficient cars will require new technologies, and that in turn will likely drive up car prices. Meeting the new standard will cost the auto industry $157 billion, the government estimated. Will consumers want to pay more? The government believes the fuel savings will outstrip the higher car prices. The estimated net savings should reach anywhere from $311 billion to $421 billion during the life time of the cars sold between 2017 and 2015. Consumers should be able to save up to $6,600 on average in fuel costs for driving a 2025 model. Oil use should fall by 4 billion barrels and greenhouse gas emissions should be cut by 2 billion tons over the life time of these cars. 4). What does the 54.5 mpg really mean? The 54.5 mpg has been tossed around as the fuel efficiency goal for 2025, and there is nothing to stop car companies from making improvements to achieve it. But that figure is based on the amount of greenhouse emissions reduction the EPA wants to require for the 2025 vehicle model, and the reality is automakers will be allowed to achieve the emissions reduction goals through different measures, designed as incentives, that won’t be counted toward the fuel economy numbers. One measure is the use of more efficient air conditioning systems, which not only requires fuel to run but also releases greenhouse gas emissions in the forms of hydrofluorocarbon refrigerants. The agencies said the fuel economy requirements they are setting will therefore increase from 40 mpg in 2017 to 56 mpg in 2025 for passenger cars and from 29.4 mpg to 40.3 mpg for light trucks. The combined average of the two will go from 35.5 mpg to 49.6 mpg. But wait, the fuel economy numbers that future cars will actually achieve will likely to be lower than that because automakers can also use other measures, designed as incentives, to count toward their compliance, the agencies said. The incentives include emissions and other credits for making flexible fuel vehicle and electric cars. For example, the proposed rule aims to encourage the use of hybrid electric technology in full-size trucks, so manufacturers will earn credits for doing that. The manufacturers will have to incorporate these new technologies into a certain percentage of their production in order to get the credits, however. 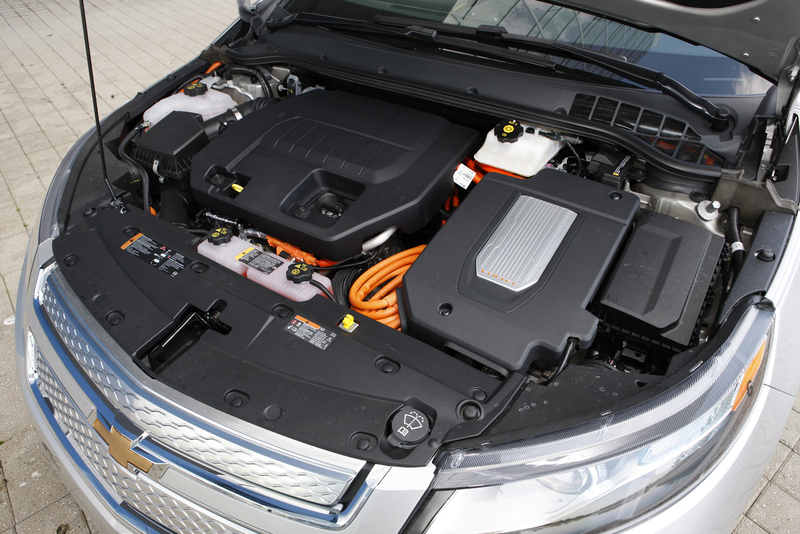 To encourage more plug-in hybrid electric, all-electric and fuel cell cars, the proposed rule would enable the EPA to give higher values to them when calculating each manufacturer’s compliance from 2017 to 2021. 5). Do automakers like the proposal? Well, major automakers, from the Big Three to the big Asian and European car companies certainly expressed their support when the President Obama announced the intention to set a new standard in July this year. There were negotiations before the announcement, and one of the compromises was to reduce the 2025 goal from 62 mpg to 54.5 mpg. You can expect more lobbying and negotiations among the various interest groups before the final rule is set. 6). What’s next? The release of the proposed rule kick starts a 60-day public comment period, after which the agencies will hold public hearings before finalizing the rule. Since the rule will affect cars down the road, the agencies said they plan to do a mid-term evaluation of the rule to see if changes should be made. Why wait 14 years ? In the 1940’s Chrysler had a car that got 50mpg and recalled the car, then switched the carborator to get the bad mpg as the rest of the auto’s on the road. The Oil company’s are running all the world. You think Wall Street is the problem ? hahahahahahahaha……..
Where’s the reference on that? If you really think that car fuel economy is reduced intentionally by something as simple as changing the air/fuel ratio, you are not merely ignorant about the engineering of engines, you are also a rank conspiracist. It’s not that there are not collusions and conspiracies but it’s delusional to claim they exist without good evidence.